Will your part be out in the sun for prolonged periods? Will it be in close proximity to electronics that generate heat? Will its structural integrity be important months or years after it is made? 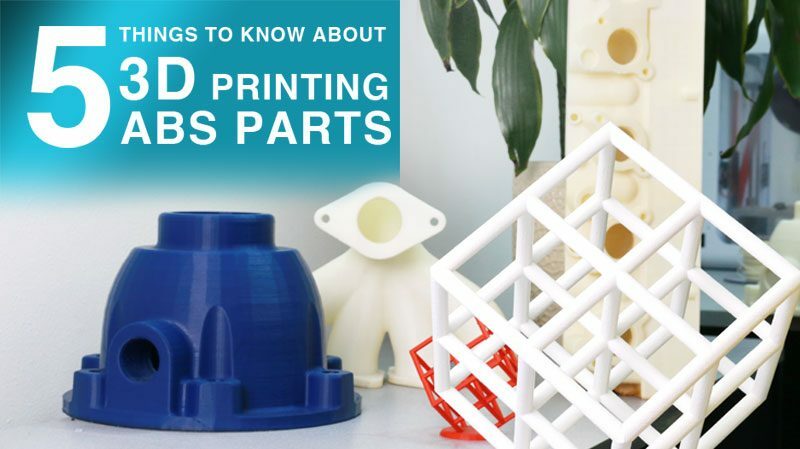 If all of these factors are important to your design, then ABS is a great choice to use with your 3D printer. 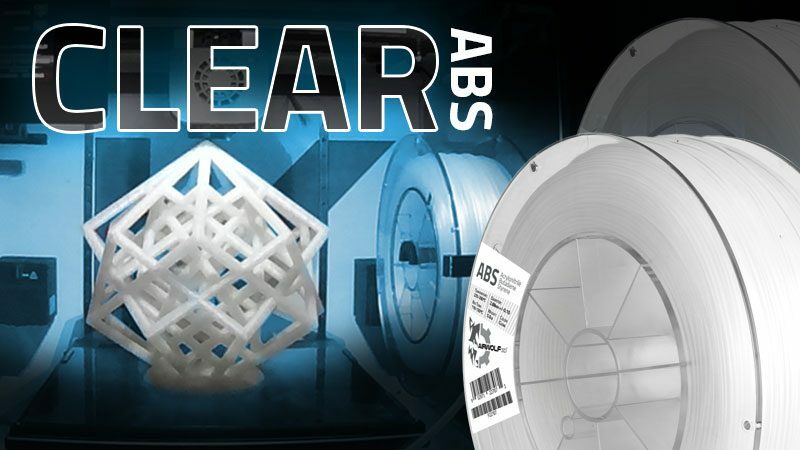 ABS (and ABS-based materials such as PC-ABS) can offer higher tensile strengths and heat resistance than other 3D printing materials with lower glass transition temperatures such as PLA, Nylon and special blends of plastic filaments. To see a comparison of the mechanical properties of materials we tested, view the 3D Printer Filament Properties Comparison Chart. Like any material, ABS has its pros and cons. One of its main disadvantages is its shrinkage after being extruded. This shrinkage can cause tolerance issues if not taken into consideration. An example is the modeling and 3D printing of a pair of interlocking gears. In CAD software, two gears can be made to perfectly interlock with one another. However if the gears are 3D printed as such, the printed parts will not fit together properly as the ABS could shrink as much as 8% after cooling down. This shrinkage is even more important when designing print-in-place assemblies as they will require more spacing between parts to allow for different rates of shrinkage. The lesson is to make sure to account for this shrinkage when designing your part. Now that you know about ABS shrinkage you can modify your CAD designs to account for this, but what if you want to 3D print an STL you found online? If you’re not aware yet, STLs are VERY hard to modify, even with specialized software. Their range of modification is very narrow and does not allow much freedom. If tinkering with TinkerCAD or Netfabb does not work, your only option may be to scale each part. You would need to scale up every hole and scale down every peg. 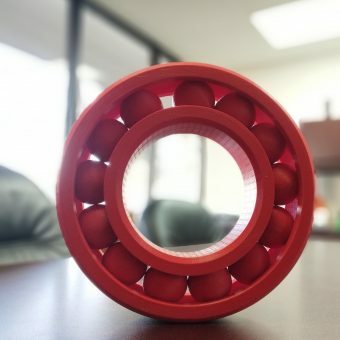 Every part that fits inside another will need to decrease in size by about 4% and every part that needs to have another part embedded will need to increase in size, also by about 4%. This may require a round or two of trial and error since it may be difficult to know if there is already a tolerance assumed for STLs found online. 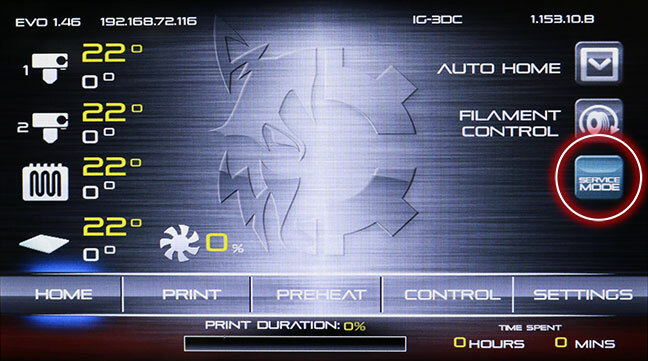 Preparing a file for 3D printing involves various parameters on every slicer software. The majority of them give you the ability to scale your objects and some may even offer a shrinkage compensation feature, but the main item you will need to account for on your slicer is the proper wall thickness and infill ratio in accordance with ABS’s properties. 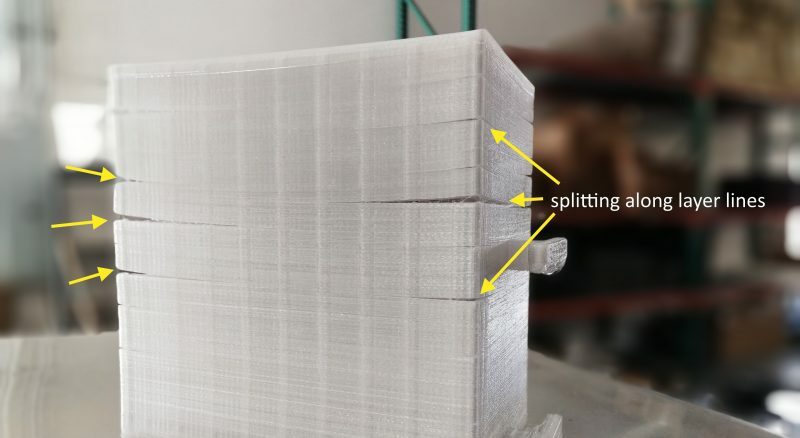 Shrinkage in the x and y directions causes part fitting issues, while z axis shrinkage leads to deformation and delamination along the layer lines. If your part is sliced with insufficient outer walls, it has a higher chance of splitting along the layer lines. Similar results may occur with minimal infill. 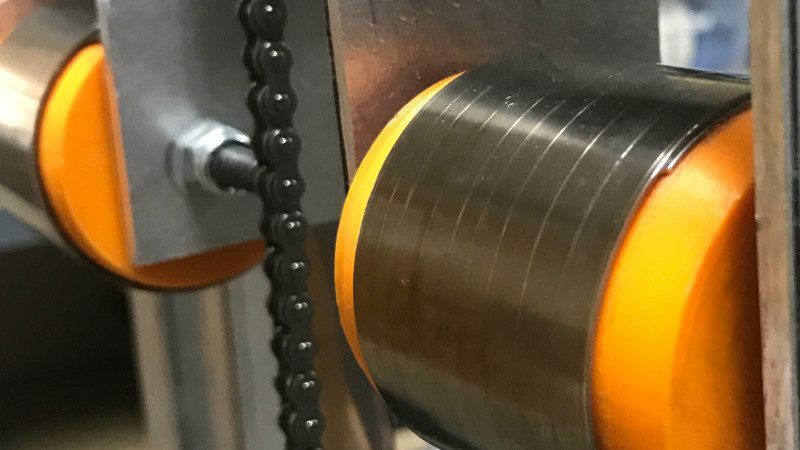 It is also imperative for larger parts to be printed at slightly higher temperatures and a slower outer perimeter speed can allow for a stronger layer bond. Enabling chamber heaters also aids in split prevention as it maintains a smoother temperature gradient along the part. 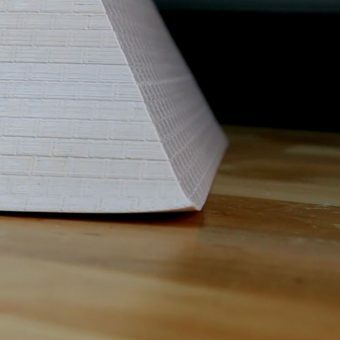 Applying an adhesive to your print bed is necessary as well as applying constant heat. 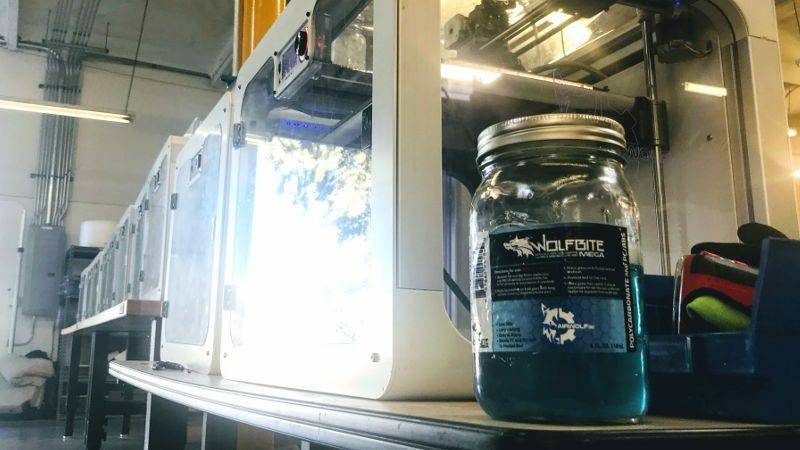 For borosilicate glass build plates it is recommended to use a coat of Wolfbite ABS solution to help prevent warping and premature part release during the printing process. 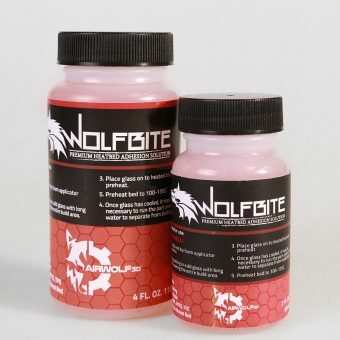 Wolfbite 3D Printer Adhesive is applied with an applicator brush straight onto cool or lukewarm glass, eliminating the need for PET film or Kapton tape. One light coat of Wolfbite can be used for several prints. After applying Wolfbite, the glass is heated and ABS parts stick firmly to the glass without warpage. 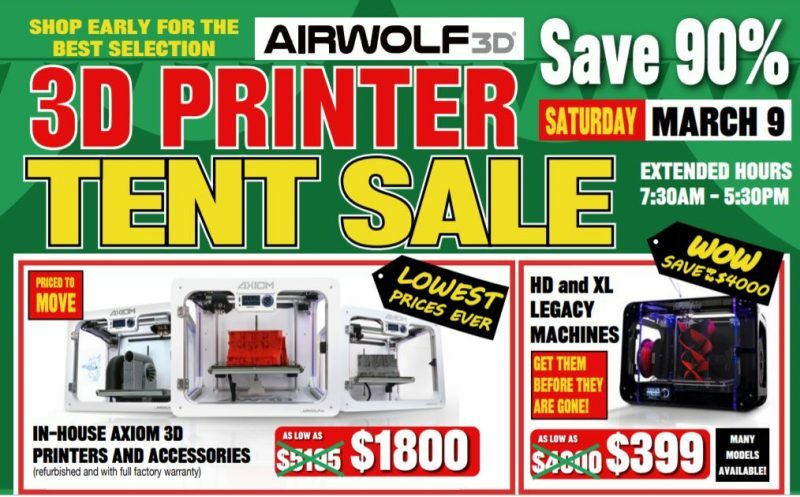 Airwolf 3D specially formulated the proprietary solution to not only promote excellent adhesion but also to make part removal easy. Once the ABS 3D printed parts have cooled, they will dismount from the printing surface with minimal effort, leaving a clean and smooth bottom surface. Chamber heaters, especially on larger builds, to reduce premature and uneven shrinkage which leads to layer delamination. Highly recommended as well is a HEPA and carbon air filtration system to diminish odors and particles given off by ABS extrusion during an extended 3D build. 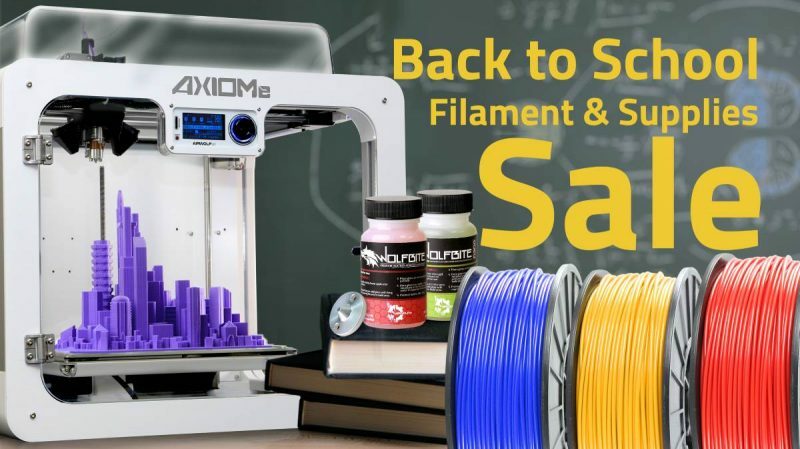 Various lower quality 3D printers come in an open build volume configuration and require the purchase of an additional enclosure while others come without a heated bed. Some claim to have heated build plates, however, only the center portion of the plate is actually heated. 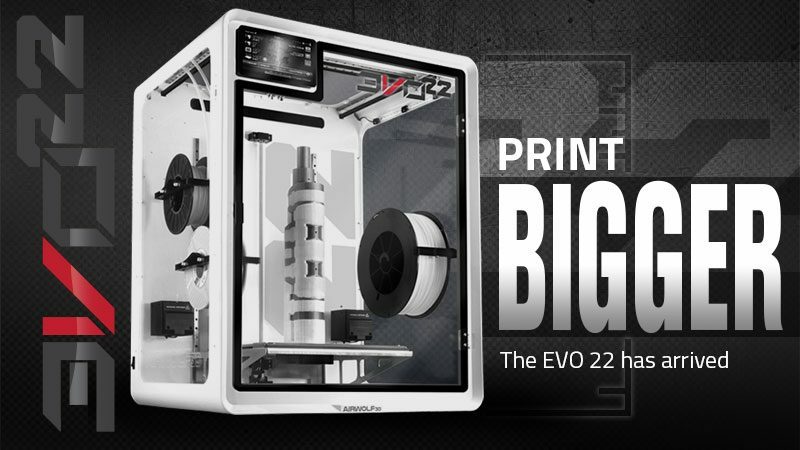 The EVO and EVO 22 Additive Manufacturing Centers are designed and built with high-temperature materials in mind. 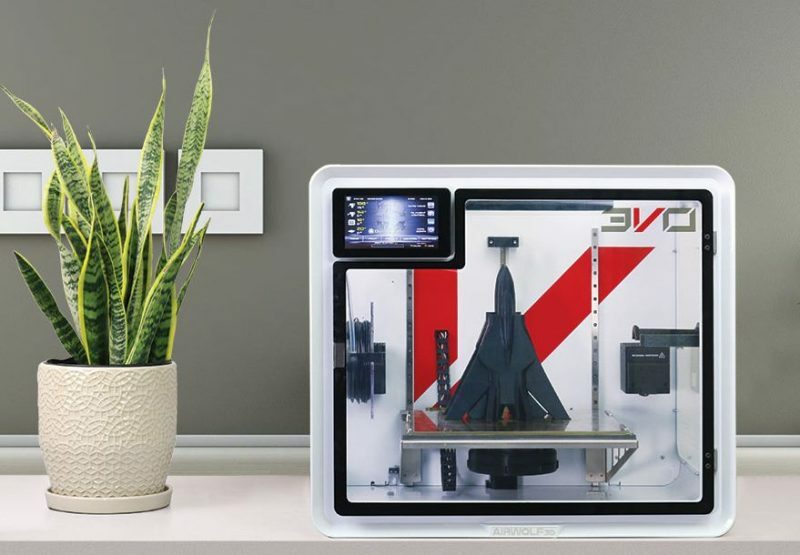 By offering an integrated heated build chamber with a HEPA and carbon air filtration system, a dual extruder mechanism capable of reaching temperatures higher than 300C, and a heated bed capable of holding temperatures higher than 140C, ABS 3D prints like a dream on the EVO AM Center. 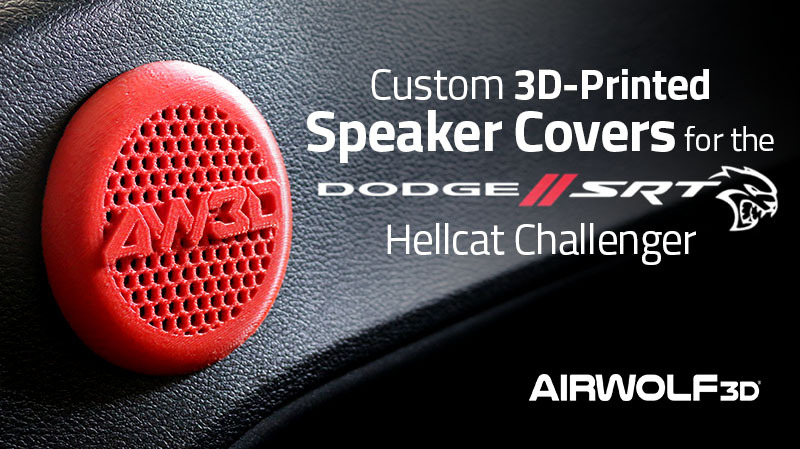 Click here to read more about this topic and to download our guide for 3D printing large parts. This entry was posted in 3D Printing Tips & Tricks. Bookmark the permalink.